To switch up book reviews. I asked the publisher if I could have two different ladies review the book at the same time. Two ladies at very different times in their lives. The only common denominator is that these ladies both belong to a small Book Club located in their community. 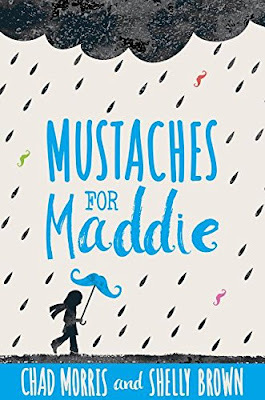 Mustaches for Maddie by Chad Morris and Shelly Brown is a book based on the life of their daughter. The book is a perfect example of how fast our life can change. The authors did a excellent job of portraying the good and the bad of being a 12 years old girl. So often as a adult we forget when we were 12 and how difficult life could be. 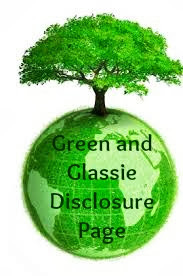 The book is a very easy read that kept my interest. This book is excellent for my 13 year old granddaughter to read. I feel Isabella will be able to relate to the story and also help her to understand that what we think about a person is in fact not correct. I feel that Isabella will also be able to identify with Maddie and how to make positive changes in others lives. So often it is not the big stuff that makes the change - but the small stuff done with only caring in mind. The authors did an excellent job expressing the characters emotions and also the traits of being a young teen. I think the age 12 is a very difficult age. So much is happening in their life. At 12 a child has so little info to use to determine the good and the bad of situations. I thought how the author described Maddie's issues were excellent. Made me think back when I was 12 and what I would of thought about my situation if it was like Maddie's. 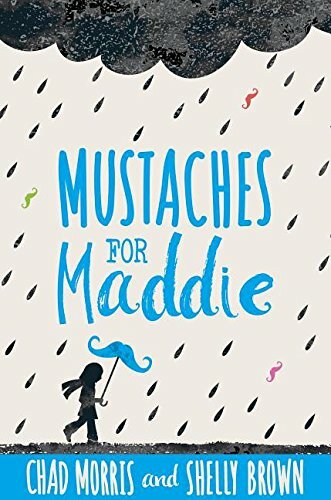 MUSTACHES FOR MADDIE was an excellent read, especially how it was written from the eyes of a 12 year old. So many of the current social issues for a 12 year old were addressed in the story. Such a friendship that excludes others, being embarrassed easily, the attraction between sexes as the hormones begin to surface and the imagination of a talented young adolescent. I loved the story line of how Maddie displayed such a feeling for others, even though at times she would not act on those feelings, very typical for a 12 year old. The serious of Maddie's brain tumor was presented, but also how she was able to handle such a tragic health condition with a vivid imagination and descriptive story. Her stories were such a great part of her personality which held her together during such a tragic and frightening experience. This book was very special to me with the story line as how a 12 year old dealt with a serious health condition. My sister Jill has the same exact brain tumor at the age of 19, 42 years ago. It's amazing how the medical field has advanced so much now in dealing with that type of brain tumor. Also my brother was hit by a car at the age of 11 and became paralyzed on the left side of his body. How the total family was affected by Maddie's condition is something I can relate to and lived through. I was 10 years old at the time. I would recommend this book to anyone who might be dealing with a serious health issue of any age. It is very well written and has a humor to go along with the sadness and challenges of an illness. Chad Morris and Shelly Brown are the proud parents of five children - four sons and one daughter, Maddie. When Maddie was nice years old, she was diagnosed with a brain tumor and her experience provided the basis for this novel. Chad grew up wanting to become a professional basketball player or a rock star. Neither of those plans quite panned out, so he wrote and performed sketch comedy while going to college. He graduated from Brigham Young University and because a teacher and a writer. Shelly has always loved children and books so when she started writing, it seemed natural to write books for children,. In her spare time, she loves the theater and traveling. In additional to her five children, she has three chickens and sixty four Pez dispensers.